A precipitous notion of a topic, I am curious of everyone's input on what they think about 'solving' EDH as a game. 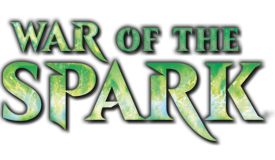 The factors of randomness, politics, the sheer possibilities of near-incalculably many interactions that can occur in a game, how the game changes depending of how many players are involved, if planechase is being played, or if some variant like kingdoms, archenemy, or two-headed giant is being played, and the fact that new sets and product releases introduce format-altering possibilities in new cards several times a year make this a very difficult question. There are a number of ideas that exist trying to approach this, suggested deckbuilding strategies and gameplay techniques that help increase the odds of a deck, but for everything, there's an exception. 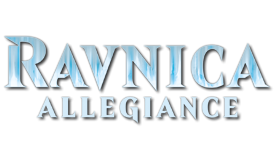 Blue, black, and green may be the deciding colors of the format in that order, and some color combinations, such as R/W, just don't seem to compare in aggregate to most decks of other combinations. 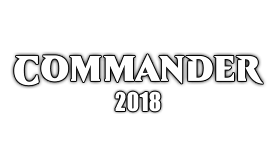 So, I'll frame the question like this: Say you took every commander (or partnered pair) that can be legally used in commander, and subjected them all to the best-played games against each other you could, maybe 10x per single combination of identical factors. The criteria these decks would be subject to are as follows: No sideboards, and played in all non-rarity/card-restricted-based commander variants (from 1v1 up to including, say, 6 players at once playing free for all or some form of team-up variant) an equal number of times each, in every combination of opposing decks. These many, many decks would be built accordingly to be as flexible and consistent as they can manage to rack up wins against all the other decks. Which decks do you think would have the highest percentages of wins, and why? I wouldn't take the numbers of what decks exist of each commander on EDHREC or elsewhere as much indication of what is best, because those decks are partly being chosen in the vacuum of popularity and other factors not controlled for. Moreover, what is the closest you think you can get to a deck that adapts to and overcomes the majority of matchups and conditions it finds itself in, and how would you do it? A format can only be solved if the sole purpose is to replicate a game of bloody knuckles - attempting to win as many games as possible as quickly and brutally as possible. A perfect example is trying to combo out turn 3-5. But that is less descriptive of most multiplayer EDH/Commander games, though it may apply to cEDH. I think there are several reasons why the entire thinkspace of "solving" a format can't be applied to a lot of Commander. It was intended to be more of a social format; you can certainly play to win, but that isn't the sole reason for playing. 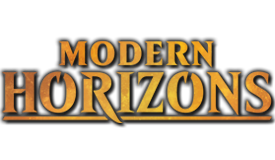 This is reinforced by the very nature of multiplayer - in a duel, you can statistically expect to win approximately 50% of the time, increased/decreased through skill and deckbuilding - in multiplayer, however, you that number starts at 33%, 25%, 20%, or even 17%, placing less emphasis on the win and more on enjoying the game as a whole. If you can only enjoy a game when you win, multiplayer is not for you. The journey has to become more important than the destination, which in turn means the goals have changed. Sure, you will probably beat the guy whose main goal is to kill a player with a car or train somehow wearing a pair of boots and a shiny hat while swinging five swords, but the one game where he pulls it off will vindicate, in his mind, the ensuing loss, as well as the previous twenty. He accomplished his goal, and you weren't even competing for the same prize. You can't solve a format where each player may bring their own set of primary or secondary goals. Funny thing about Magic, metas exist. For a while, Hermit Druid was OP, but then people started adding Leyline of the Void, Tormod's Crypt, Nihil Spellbomb, and Pithing Needle. You don't hear people complain about Hermit Druid much anymore. Food Chain Prossh, meet Torpor Orb. If you can't know even what pieces your opponents are playing with, and there's the additional randomness inherent in a card game, the game really can't be solved. Agree - you can't solve a social format, at least in the context of every game having a different set of goalposts - or even a different shaped goalpost. Everyone has different ideas of what a win looks like. As for the second part of the question...I guess the answer would be some tier 1 cEDH commander. Jeleva, Nephalia's Scourge? Breya, Etherium Shaper? Even then, it's a different beast, I know I wouldn't even shuffle up to play a game against a competitive iteration of either of these decks, so it's a moot point. The third part of the question, adaptability and resilience....well....it looks different for every deck. I guess you want a deck that can bounce back quick and walk through fire unscathed. I have a couple of decks I believe capable of this, but their win percentages aren't stellar. I think this is more something that's inherent in the deckbuilder than the deck itself. You either go all in on a strategy/synergy/mechanism/theme, play optimal cards where you can, or you try to give yourself the tools to prepared for the majority of situations you might find yourself in. I call it toolbox builds, and they're far from bulletproof. They're good and flexible, but no deck wins 100% of the time, and that's just the nature of a singleton 100 card format. It's random and you can't prepare for everything. It's definitely how I prefer to build though - I've generally found the longer you last in a game, the higher your chances are of grinding out a win. I am not even sure you could solve this game if you were discounting the social side or you had fun playing the highest power stuff. Magic is a very good game of having clashing archetypes bounce off each other to keep the game interesting, that is when it is 2 players when you double that well at any power level you you make it unsolvable imo. cEDH probably can be solved to some degree in the manner you suggest, given a large enough pool of data, but given the nature of the format, I don't know how one would go about amassing this data. The more typical, socially-oriented version of this format, where the goal is to have mutually enjoyable, memorable games, I don't really know how you would "solve," any more than one might solve something like DnD. Sure, you can make more optimized or synergetic decks and include more powerful cards, just like some DnD players try to min/max characters for combat efficiency, but those efforts might actually create results contrary to the goal of those involved (a social, relaxed game of Magic or a group storytelling experience of roleplaying rather than rollplaying). Someone might enjoy bringing their super-tuned Arcum combo deck to beat up on a bunch of people playing tribal pirate decks and theme decks, but I am guessing most of the other players would consider that less than a successful experience. Honestly, it's part of what I like about this game; for every situation, there is an answer. That's amplified in EDH where there's 4 people minimum manipulating the situation while everyone scrambles for an answer, and this changes minute to minute. I don't think there's an omniscient, omnipotent answer to the optimal arrangement of cards to play, and I like it that way just fine. The format as a whole can't be solved, as "all" decks can't be handled at the same time. As we speak there are 809 different commanders, sure not all of them viable, but if you'd "just" want to keep the top 50 or so decks in check that would make for an insane deckbuilding challenge. Then again, if you were successful, maybe one of the other commanders slips through your deck tech. Say an oddball Mishra, Artificer Prodigy or Gaddock Teeg who warps the complete game or any fast Stax deck. The only chance of controlling all aspects would be taking control of actually all aspects, e.g. saying "no" to everyone with Baral, Chief of Compliance. At a 3-4 player table with everyone else coming as prepared as you are? Good luck with that. Aside from solving the format as a game there's no chance in solving the game as a Meta. 809 different commanders is a lot, but all different types of players combined with that? No way, José! What we can agree on is, that tight deck techs can be solved so much that only a small portion of the deck is personal preference. I love both decks to death, but Zada, Hedron Grinder and Omnath, Locus of Rage are what they are. Even four of those "solved" decks facing each other isn't a clearly predictable situation. Godhands exist and even the slightest chance of winning a more than unlikely matchup will happen sooner or later. Bottom line, all being said we can be happy that this is the case, as this is what makes the format so lovely. The moment that changes i'd be out the door. My immediate response to this kind of question is no. My main reasoning would be that the cardpool is too large, the number of strategies people employ is too large, the highlander, 100-card nature of the format leads to diverse games due to variance, and a lot of people play the game in a more casual fashion that doesn't worry too much about maximizing win percentage over maximizing play experience. Where there is no incentive to "solve" the format, the format stays diverse. My follow up response to this is that given enough incentive, Magic metagames are pretty ruthless examples of competitive evolution where prison, combo, and control archetypes can thrive given enough tutors and redundant parts to overcome the highlander, 100-card nature of the format and run rampant over decks that do not have access to four Force of Will. cEDH in all its incarnations (French, Duel, MTGO1v1, etc.) has had to have metagame course corrections to try and engender diversity in those formats, and even then it seems like only 7-8 decks are truly competitive (its probably more like 10-12, but sometimes it feels like less than that). 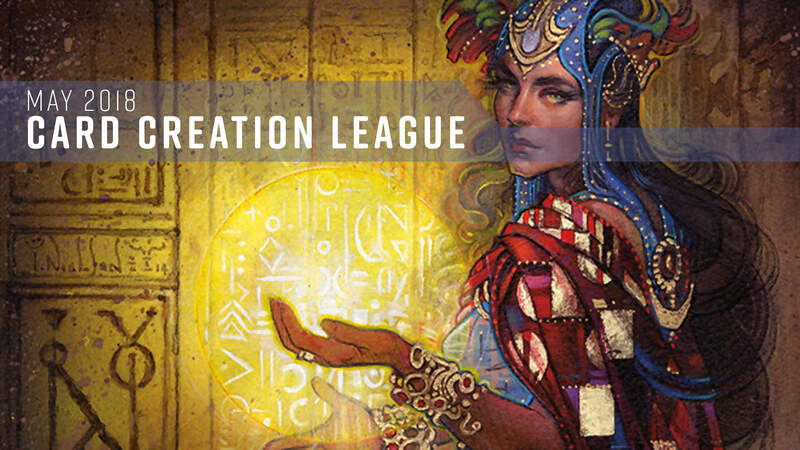 The cutthroat nature of cEDH actually narrows the card pool and viable archetypes (similar to Vintage metas) down to a level where metagaming actually makes some sense since you have some sort of idea of what you can conceivably face. This kind of meta can conceivably be called "solved" where known archetypes run rampant, squeeze out 90% of outlier strategies, and metagaming against the possibly field becomes possible. EDH on the microcosm is solved mechanically, solved socially in the macrocosm. The only time the later half really falters is when the players are in a competitive environment but not necessarily with competitive decks. I think a lot of people in this thread aren't using the same definition of "solvable" that I would. Just because there are a lot of factors doesn't make it unsolvable. Even if, to have a definitive result, you had to compare every legal combination of 100 cards - a number I wouldn't want to calculate - pitted against every other combination for a billion games each match - that still doesn't make it unsolvable. Maybe unsolvable to our current level of technology, but theoretically some computer could do it. 1v1 EDH I would assume is as solvable as any other 1v1 format. Multiplayer gets a lot trickier. I think you could theoretically write an algorithm for "optimal play" and pit different combinations of decks against each other until you found the decks that won the most matches. But there are a lot of factors that are hard to take into consideration that can matter in multiplayer a lot moreso than 1v1. For example, niv mizzet is a strong commander when combined with curiosity (or at least, let's say). 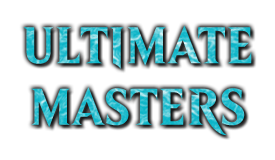 But, because this knowledge is widely known among the edh community, the table is likely to be more scrutinizing of this player and be especially vigilant for that combo. By contrast, some less powerful deck might attract less attention, and thus increase its chances of winning. Presentation becomes important. Sometimes strictly worse cards can be better, because they attract less attention. If you wanted to make a bot to replicate this effect, it would have to have some sort of learning involved - as one deck or card shows itself to be particularly potent in testing, the other simulated decks would need to take this into consideration and focus more attention on that deck or card. So the format becomes somewhat self-correcting. Saying X deck is the best multiplayer EDH deck is a bit like saying X is the best guild in draft - it may well be the best in a vacuum, but these things don't exist in a vacuum (except in arena draft, lel). 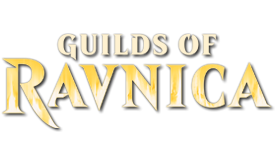 If everyone knows X is the best guild, it'll be overdrafted and might lose to worse guilds that were open. If everyone knows X is the best EDH deck, that deck will draw attention and might lose to decks that aren't as threatening. Theoretically it should flatten out quite a bit, at least among the decks of reasonable power level. I would expect that among perfectly-played games, many decks are at essentially the same tier. So is it solvable? I think there may be a way to determine some optimal metagame, but I think the "solution" is that all decks power levels are known and the game becomes almost perfectly balanced, with power being perfectly equalized by attention. For the record, I'm not concerned about winning myself. I play for the social aspect as well. I just thought the notion of 'solving' a format like EDH was an intriguing one and it contributes to how I plan my decks, given my meta plays all sorts of different variants of commander with different numbers of players and decks each time. I thereby seek for myself well-rounded, capable, flexible, and interactive decks. Funnily enough, my choices don't tend to prefer that which is 'highly likely to win' because my primary preference isn't about winning, but not getting bored. I *hate* straightforward decks that have only one plan and just work in one single direction. I like a deck that I can choose to play in about 3 different ways or more every game to equal effective odds at success, so that rules out a lot of commanders for me. Narset? Powerful but boring. Prossh? Yawwwwn. Anything voltron? - how about never! That's why I like Maelstrom Wanderer so much - I took it apart and rebuilt it 3 times over the years. It's not very consistent (by design, it has few tutors, doesn't even run Tooth and Nail for example), it doesn't necessarily run all of the same cards the most competitively oriented ones do (No Sunder or Jokulhaups, no extra turn cards), but it's flexible and 'just seems to work or otherwise make a good attempt' every game. It doesn't bother my friends at all, seems like I found just the right balance for my meta at least with that one. I like decks like that and want to find more commanders this flexible. In addition, one of my other weird goals is playgroup-considerate for both friendly and roundabout-competitive purposes. I don't want to play decks that win more than 50% of the games I play them in. I have a deck that does, and I play it the least of all my decks because of it. I don't want to draw too much attention to myself by winning too much, so while I like to optimize my decks very heavily, I actually aim for making decks only capable of winning games 1/3rd-1/4th of the time even as I play them as well as I can. This means everyone else can get their wins and be happy about it, and if I'm not winning too much, I'm not high profile to be focused out in multiplayer games. This, in an unintuitive way, I think increases my odds at the times when I really am intending to win a game, particularly when an opponent brings out one of the decks that has been giving the whole playgroup a lot of trouble and I want to overcome it. Does anyone else do anything similar to that or something different? well, i can (sorta) try to argue that it can be solvable if by a 'solution' you mean it always brings on the fun. - rakdos the defiler suicide RB. - zedruu the greathearted auras voltron. - blind seer leviathan-tribal (using artificial evolution on didgeridoo naming leviathan). I don't think any of those decks have ever been a downer. in terms of winning the game due to game state and all that, i don't think it's really possible in a multiplayer game, and I'm not sure if many of us would be interested in it either (definitely not within my local playgroup). Is it solvable? To a degree. You could figure out which decks are "High tier" when built with optimization in mind and played towards winning. Card for card certain decks and commanders bring more weight to bear. That said, the very best deck in EDH would still lose in multiplayer against three other high tier decks who focus it down. Which they would do if being played optimally. So while you could solve for a deck that, card for card, is more likely to win due to the priorities of the board and having the endurance and resources to last through more threats, it's win rate wouldn't be what you'd expect from 1v1 games. Certainly nothing over 50% and probably not even 40%. I would say no for the simple reason that traditional commander is 3+ player FFA. When you get down to it, the politics of there being more than 1v1 will mean that results can't always be replicated even if you were to hold many large scale competitive events. Without the ability to replicate results I don't think you can really solve a format like Standard / Modern / Legacy kind of end up being. You want to be able to replicate results and the concept of multiplayer FFA keeps that from being something that really can be done. I think if you want to change the dynamics to 1v1 or 2HG or something like that then the answer changes to yes. There is just too much that you can't control as you add more players into a FFA environment though. Food Chain Prossh, meet Torpor Orb. Torpor Orb doesn't stop Food Chain Prossh. It prevents something like a Purphoros or Chancellor of the Forge win, but Prossh is frequently winning off the back of Goblin Bombardment or Blasting Station instead. Torpor Orb also shuts down Blasting Station’s untap ability so Prossh can’t combo off. I agree that Torpor Orb doesn’t fully stop Food Chain Prossh, but it does make life much more difficult for them. Whether or not its solvable boils down to one question: is it possible to create a deck that wins at a higher percentage than other decks and, if that deck becomes dominant, is not vulnerable to a meta choice that can prey on it. In addition, one of my other weird goals is playgroup-considerate for both friendly and roundabout-competitive purposes. I don't want to play decks that win more than 50% of the games I play them in. I actually aim for making decks only capable of winning games 1/3rd-1/4th of the time even as I play them as well as I can. The format is solved just not in the traditional sense. Its by means of the social contract. What you speak of when building your decks and how often you want to win and what you choose not include are through the social contract. If you didn't abide by that, your decks would gravitate naturally towards being more consistent and strong, but you find that aspect "boring", which is why you place handicaps on your decks. Its also not just you, there are plenty of others that behave in a similar manner in order to achieve that desired result of social optimization. Edric "de pisse", Derevi STAX, food chain Tazri (nowadays I suppose you swap Tazri for Najeela as it's just a better card, but I digress), Tymna/Thrasios Flash-Hulk (with cephalid breakfast backup, typically), and then Breya with Auriok Salvagers. Everything else is just falling in line far behind these. how would food chain combo work with najeela? She doesn't have an etb. I mean yeah those decks are all strong and pretty well busted, but they're all definitely cEDH builds. So I guess in one way you're not wrong, the format is solved in terms of optimal tactics, barring any further releases. I still think you can't really solve a social format; bring these decks to my LGS and you'd struggle to find a table to sit down with. cEDH, sure. EDH in general, how do you solve a format in which the goalposts are in different placements for each participant? For myself, yes I like to win, but I'm much more interested in the actual arm wrestle than the point at which my opponent's arm hits the table, and I'll generally always choose a deck that scales well to the table. I know generally that's the case in cEDH too, so I assume those players are much less interested in handing a beating downwards. I guess it's a little weird talking about these like they're different formats when they're not, but in a way unofficially they are. cEDH players tend not to be interested in feedback from casual players, and vice versa. It's not 'never the twain shall meet', but there's definitely a schism in end goals. There's a weird paradox that once a deck is 'solved' so to speak, it immediately stops being interesting to play and you start wanting to build and play another deck. cEDH, yes. Social/casual EDH, no, but also who would even care enough to try.